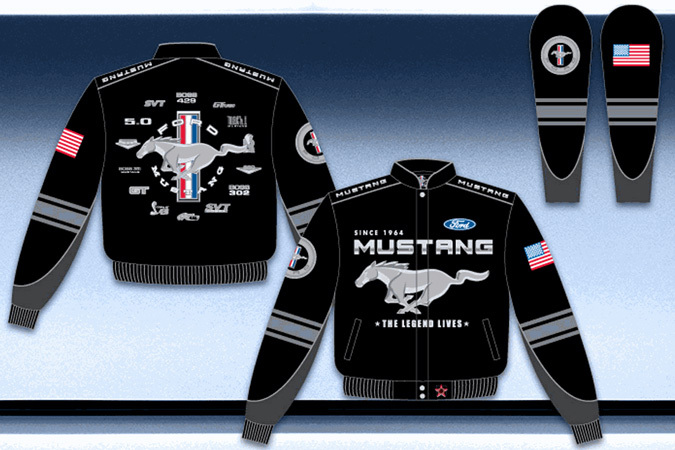 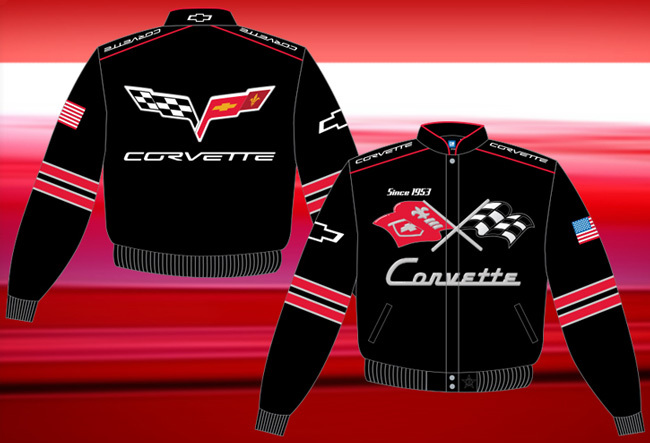 Ford Jackets, Chevy Jackets, Mustang Jackets, etc. 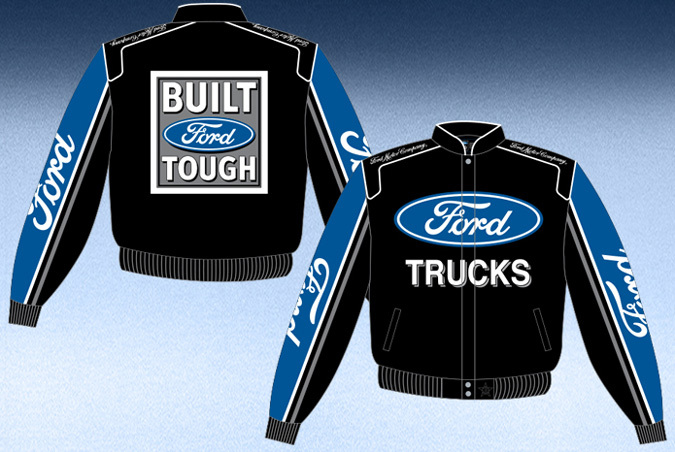 Home > ----- JACKETS ----- > Ford, Chevy, Mustang, etc. 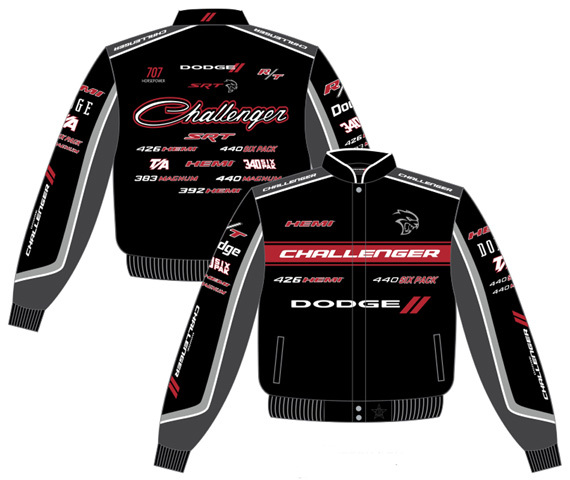 2017 Dodge Challenger Collage / Adult Twill Jacket, by JH Design. 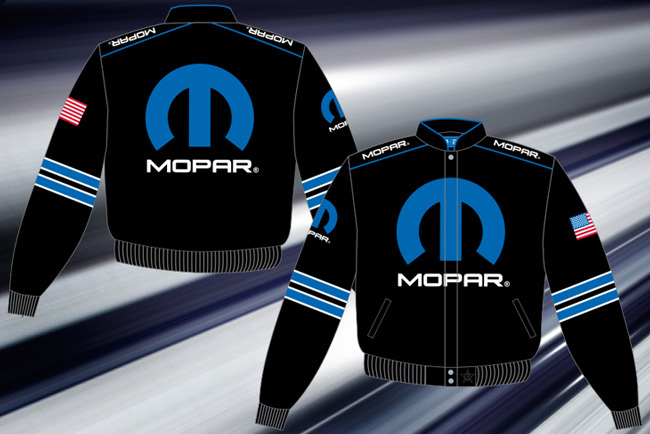 Dodge Challenger black brushed cotton twill adult uniform style jacket with embroidered sponsor graphics, satin lining and snap-button closure. 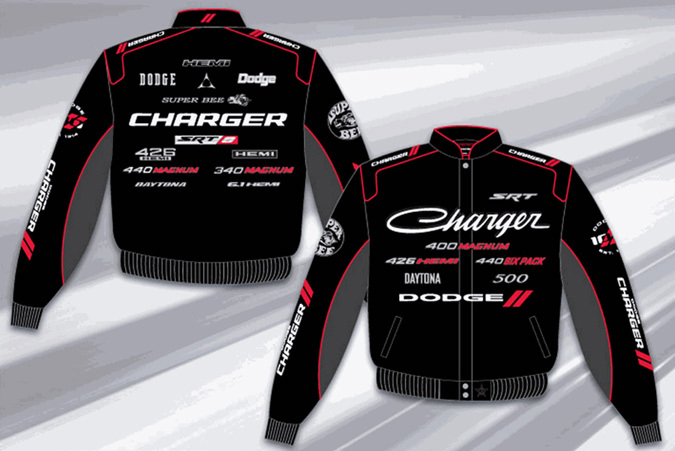 The Dodge Challenger jacket features a crew neck collar and rib-knit cuffs. 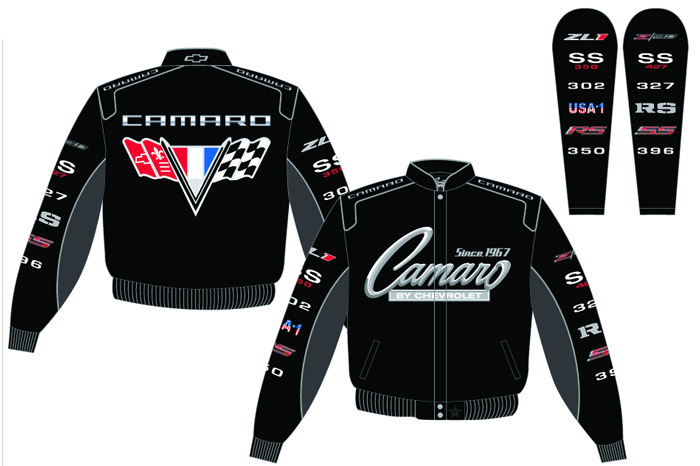 JH Jacket sizes run slightly larger than average. 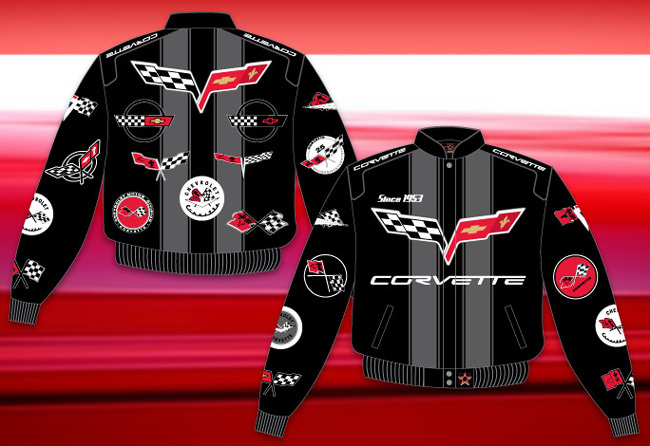 2017 Shelby Cobra Collage / Adult Twill Jacket, by JH Design. 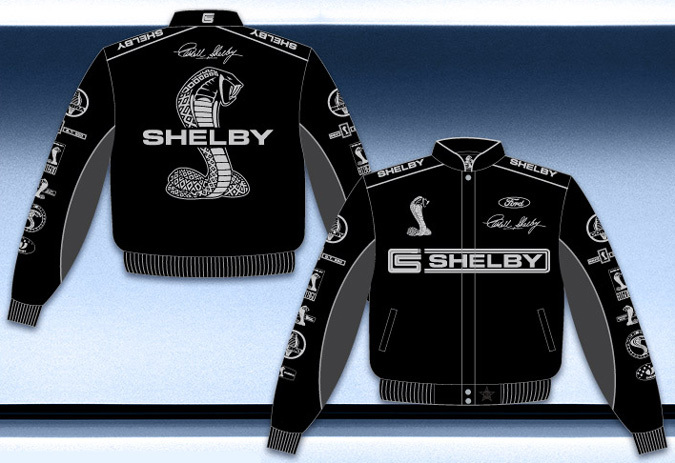 Ford Shelby Cobra black brushed cotton twill adult uniform style jacket with embroidered sponsor graphics, satin lining and snap-button closure. 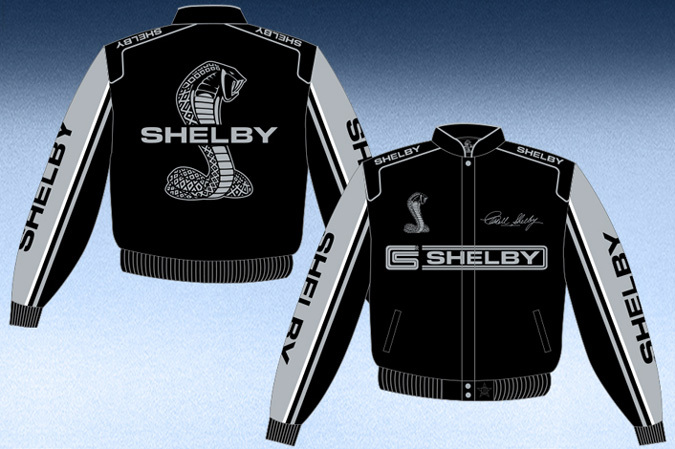 The Shelby Cobra jacket features a crew neck collar and rib-knit cuffs. 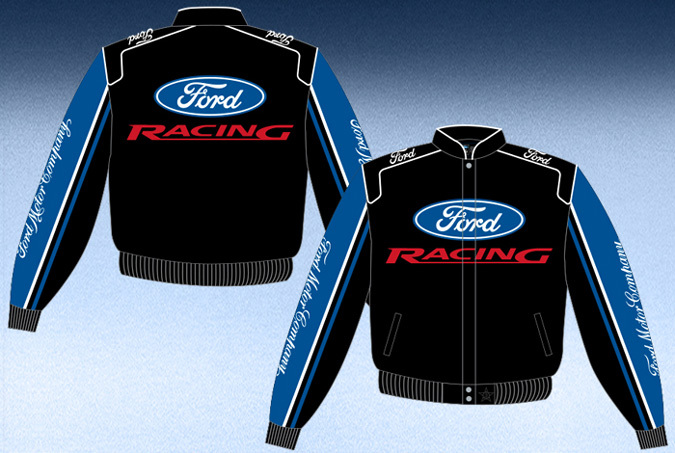 JH Jacket sizes run slightly larger than average.